I’ll come clean: I only knew of this book because of the trailer for the film. I’d loved Rebecca, which I read last year, and thought I’d give this one a try as the trailer looked interesting and I wanted to read more of Du Maurier. It wasn’t exactly what I expected–but it was also better than expected. This book was absolutely fascinating and I adored it. I devoured it within a couple days, mesmerized. The story is told very much from the perspective of Philip Ashley, a young man and heir to the estate of his older bachelor cousin Ambrose. Philip is a bit awkward and antisocial, much like Ambrose himself, and their lives are practically devoid of women. For his health, Ambrose spends winters in Europe instead of Cornwall (having lived in Devon the past three years, I feel ya, Ambrose). It is in Italy that Ambrose meets Rachel, a distant cousin and widow. Philip learns with dismay from Ambrose’s letters that the older man falls in love and marries this Rachel, and at the same time becomes ill–his letters become more irregular and disjointed. His final letter calls Rachel ‘his torment’. Philip is alarmed and goes to Italy, but too late: Ambrose is dead, and Rachel has disappeared. He returns to Cornwall vowing revenge, but when Rachel finally arrives, she is nothing like he expects. I don’t want to say too much, because part of the beauty of the novel is the mysteries within it. What is Rachel’s true nature? What really happened to Ambrose? Who are we supposed to sympathize with? (The answer to that question, for me, is a fervent ‘LOUISE!’). We get scraps of these throughout the novel, but everything is filtered through Philip’s perception of what is going on and his growing infatuation with his cousin. As with Rebecca, Du Maurier is a master of the plot and with teasing out the mysteries. And also as with Rebecca, one becomes confused as to who is a villain and who is a hero (if such a thing even exists.) Even when you, the reader, can see the twists coming, it is with a perfect dread, the ultimate in dramatic irony. A warning: the edition I have linked to has an introduction which, if read first, would erase some of the suspense and subtlety. Don’t read it first (I didn’t, thankfully); it’s just someone talking about how the book is a classic and giving away some of the plot twists in her discussion of how good the plot is. 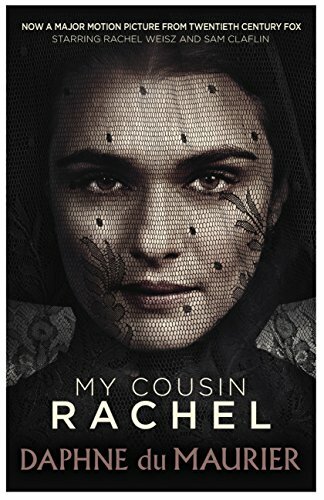 Perhaps it was because I saw the trailer first, but Rachel Weisz seems the perfect Rachel. I look forward to watching the film, though I suspect from the trailer that it will lack the subtlety of the novel–in which case, I highly suggest reading the novel first! Share the post "Even better than Rebecca"
Erstwhile PhD in Ancient History. Wannabe fantasy writer. Likes ancient coins, imaginary kingdoms, and failed emperors. I waited to make this my first CBR11 review. It was worth the wait. In the nick of time, my first ever CANNONBALL!